To create a viable urban environment through the support of public facility and accessibility improvements, access to quality public services, homeownership assistance and improved housing conditions. 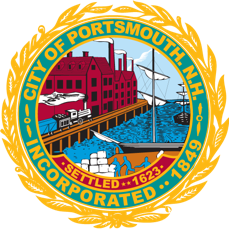 Through the U.S. Department of Housing and Urban Development Community Development Block Grant Program, the City of Portsmouth is planning a renovation/rejuvenation of Rock Street Park in 2019. Draft design and engineering plans are underway and a community meeting has been scheduled for Wednesday January 16, 2019 at 6:30 p.m. at the Portsmouth Public Library, Levenson Room. At the meeting, project representatives will present details about the design and project implementation plans and solicit community input. Representatives from the City of Portsmouth will be on hand as well as representatives from the project contractor, Terra Firma Landscape Architecture and the engineering subcontractor, Ross Engineering. Meanwhile, if you have any questions, please do not hesitate to contact Elise Annunziata, Community Development Coordinator, by calling (603) 610-7281.